Invitation still pending or error "Access Denied"
This page lists various error conditions that an Admin Console admin can encounter and suggested steps to resolve them. We have discovered that many dashboard errors are either browser related or the result of an environment issue (proxy, firewall, etc.) Please check the following prior to escalating an issue or proceeding with specific troubleshooting. The Adobe Service Check ensures that your environment is properly set up for successful dashboard use and can help identify any proxy, firewall or network issues. You should perform this check to make sure your environment is set up correctly. Try again in a private browsing or incognito window - this will make sure your cached information/cookies are not causing the issue. If incognito mode works you may need to clear your cache/cookies. If you are using a script or ad blocker try turning it off temporarily and see if that resolves the issue. This issue has now been resolved. See For Custom plans, some Creative Cloud for enterprise apps revert to trial or show trial expired for details. For Adobe ID users, additional applications are still available in trial mode. Admins can trigger a password reset for an Enterprise ID user. This process can incorrectly reset the password for an Adobe ID if the user has both an Enterprise ID and an Adobe ID. If this issue occurs, you can delete the user and then add them again which triggers a new invitation process. See the solutions in this document: Troubleshoot Federated ID. Ensure that your browser is a supported browser and version. 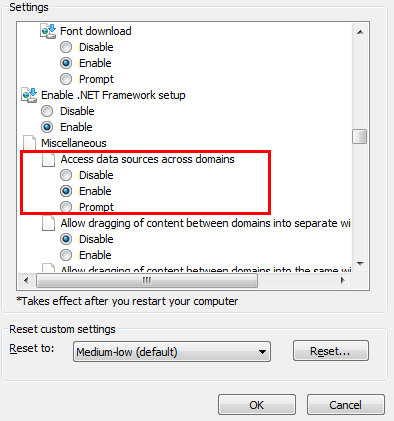 Internet Explorer versions 9 and later are supported; resend the invitation and have the user accept in a supported browser. Ensure that your DNS record has propagated successfully. Ensure that your DNS TXT record is in the correct format: For example, If your token is ”asdfadgalfjsadr3232324sdfesf,” then the TXT record would be: "TXT adobe-idp-site-verification=asdfadgalfjsadr3232324sdfesf" (with the quotation marks at each end). Ensure that there are no extra spaces, brackets, curly brackets, or other characters in the token that would cause it not to be recognized. You can use the online utility MxToolbox to check your DNS TXT record. If the Adobe token is not there, we can't validate your domain. If you have a Mac or Linux machine, you can verify your TXT record with the command line utility "dig": dig TXT your_domain_name.com +short. Full documentation of domain claim is available here. If your issue isn't resolved, after trying these steps open a support ticket. If the users, groups, or identity panels are blank, clear the cache and cookies in your browser and try logging in again. If the issue persists, ensure that *.services.adobe.com is open in your firewall as documented in Network Endpoints. If you receive "ERROR we apologize, we do not recognize your account in our Support database" in the Internet Explorer browser, change a setting in your browser. Go to Tools > Internet Options > Security > Custom levels and enable "Access data sources across domains." Open Chrome Debugger Tool (using Ctrl+Shift+ I or right-click and select ‘Inspect element’). 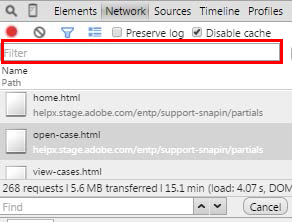 Login and go to support snap-in using ‘Support’ tab in the dashboard. Click on any link under the Network tab (In Developer Tool) and press Ctrl+F. You will get a text field (‘Find’) to enter text for search. Click on that API link to get details window in right hand side of developer tools. Click on the Response tab (in right hand side) to see the response of crmid API and share that response with us to identify the issue. (response may be empty also in case of API error). 1. Your OS and version. 2. Your browser and version. 3. The crmid from the above. All users must be invited to the dashboard and accept the invitation before gaining access to the Admin Console. 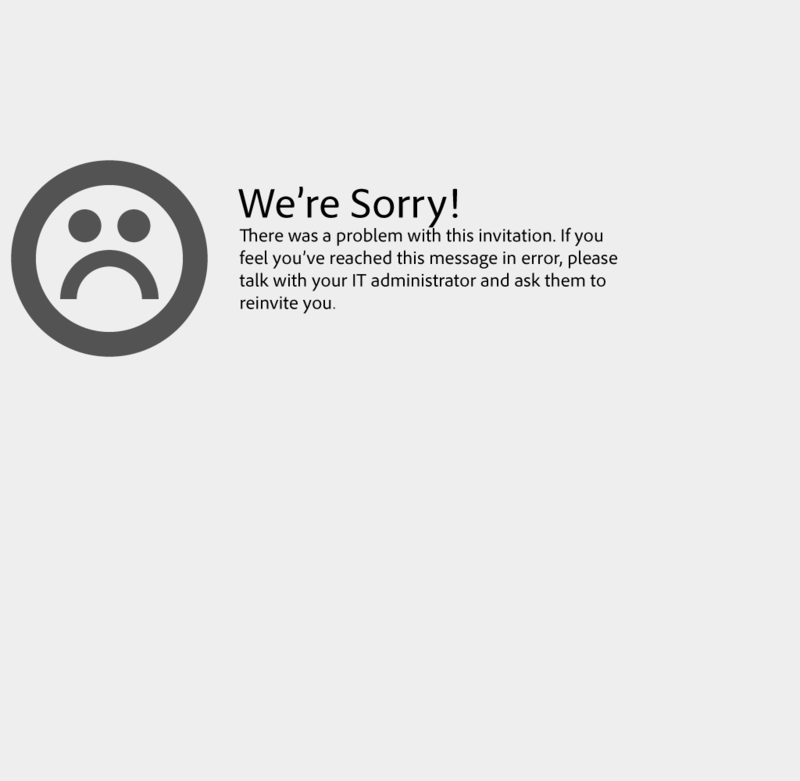 If the invitation is still pending, the user needs to accept from the email sent. If they don't have it or the invitation has expired, you can either resend the invitation or send a new invitation. If the invitation has not been sent, check with your licensing administrator. If your organization has an enterprise agreement with Adobe and has not granted access to the licensing administrator, contact support by using the information that was provided in your welcome packet. If the invitation was successfully accepted and you are still getting this message, check your account on adobe.com and ensure your date of birth is correctly entered. A blank date of birth or date of birth of less than 13 years of age can cause this issue. This cause of the access denied error will be resolved in a future patch. Create a ticket on the Admin Console under the support tab. Note: if you are switching from Enterprise ID to Federated ID, no end user will be able to log in successfully until you set up Single Sign-On. Your support engineer will work with you to perform the switch at a time of minimal disruption for your users. "Error Creating Tenant" can occur when claiming a domain if the domain includes a reserved word. For example, admin.xyz.com would generate this error as the word "admin" is reserved. Such a domain cannot be claimed at this time. Use the parent domain instead (xyz.com instead of admin.xyx.com, for example). Chinese domains cannot be claimed at this time. If receiving the error "An invitation with this code was not found," the user sees the following screen. Suggested troubleshooting step: Admin resends the invitation from the Admin Console. For an "invitation expired" message, the admin should resend the invitation from the Admin Console. If the invitation is already accepted, the admin should resend the invite from the Admin Console. If the invitation is revoked, it could have been sent in error. If the person receiving this message still needs to have dashboard access, the admin should resend an invitation from the Admin Console.